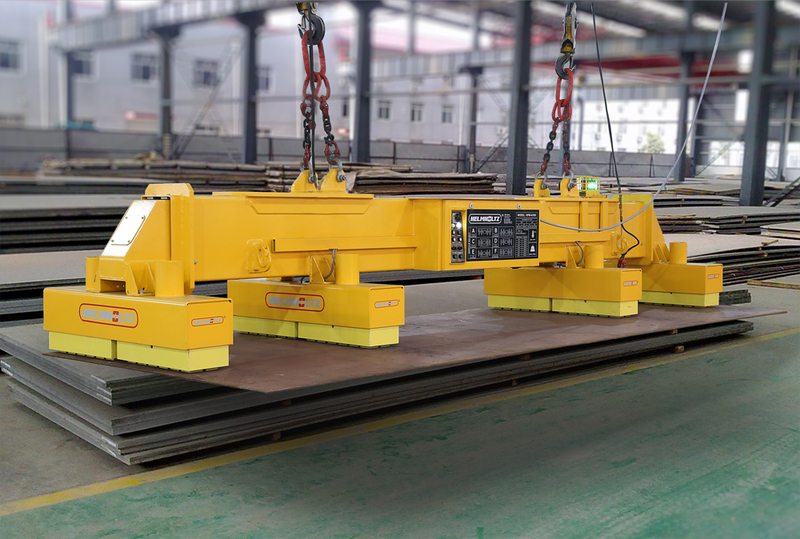 ♦ Lifting plate with electro-permanent technology, cannot drop a load due to loss of power. ♦ Lift plates without slings chains or straps eliminating any associated damage. ♦ With radio remot control. ♦ HSS (Helmholtz safety system) prevents the De-mag while loads is suspended. ♦ Variable power pick up to de-stack plates safely. 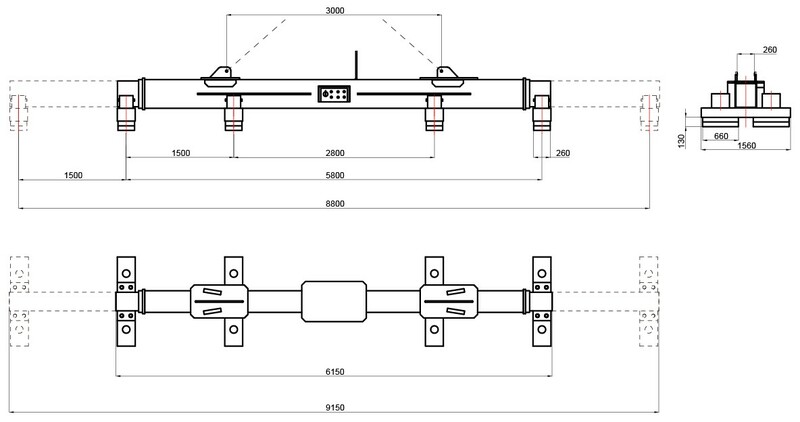 ♦ Hydraulic actuated variable size spreader beam increases safety, versatility and efficiency. ♦ Magnetic modules are selectable longitudinally and transversally to suit short or narrow plates. ♦ Test lift function insures safe load handling each and every time by insuring a minimum safety factor is guaranteed with each and every lift. Single plate de-stacking capability down to 5mm thick plate.